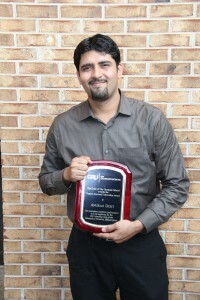 Anurag Dixit, a newly enrolled student in the Biomedical Sciences Doctoral Program at Georgia Regents University, is the 2015 Dean’s Doctoral Fellow. Originally from India, Dixit came to the United States in 2013 to pursue a Master of Science with a major in biochemistry and molecular biology from Georgetown University. However that degree, along with the Ph.D. he is currently pursuing, are only the most recent additions to his academic profile. 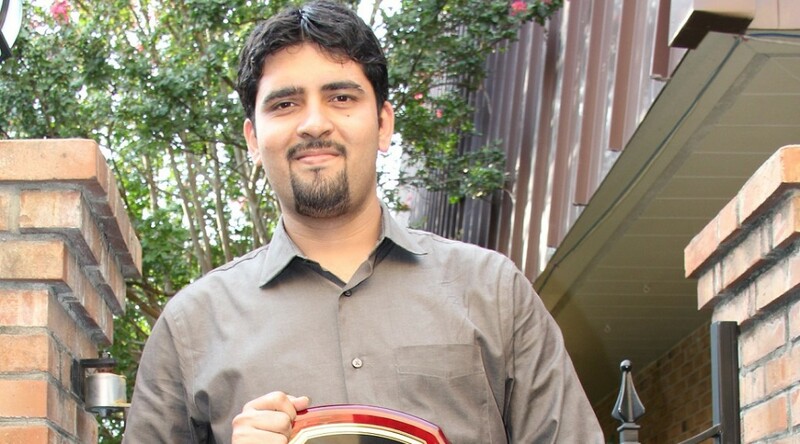 Before leaving India, Dixit also earned a Masters in Life Sciences with a specialty in medical sciences and a Master of Business Administration, which he used to work in the field of market research. 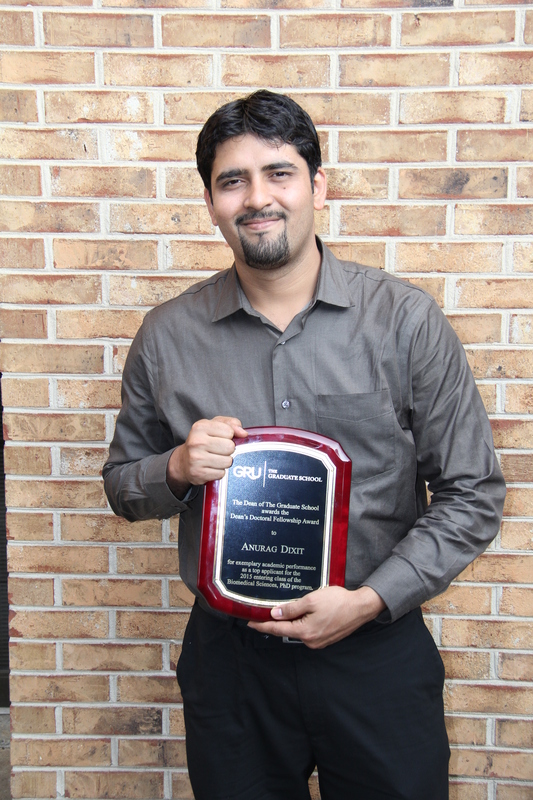 Dixit said he was honored to be named the 2015 Dean’s Doctoral Fellow. This prestigious fellowship is awarded to students for academic excellence, competitiveness and overall impressiveness, with a limited number of awardees being selected by the Biomedical Sciences Admissions Committee. Last year’s Dean’s Doctoral Fellows include Lia Taylor and Rachel Roberts, now both second-year students in the Biomedical Sciences Doctoral Program. Dixit stated that his passion for research and discovery led him to choose the Biomedical Sciences Ph.D. Program at GRU. Since starting at GRU, Dixit said one of the happiest surprises has been the supportive and involved faculty. He described a good ratio of students to faculty and said he has enjoyed attending the faculty introduction sessions, which have given him insight to each department’s research areas. After finishing his studies, Dixit hopes to obtain a post-doc appointment or faculty position where he can perform research. He has experience and interest in cancer and molecular biology, but is keeping his eyes open for new interests during his first-year classes and rotations at GRU. He likes that biomedical sciences doctoral students are admitted through a common admissions process, with each student choosing one of nine majors in their second year. Within the next 10 to 15 years, Dr. Leroy Hood predicts that the focus of health care will shift from disease treatment to prevention. Hood, a systems biologist and researcher who helped pioneer the Human Genome Project and develop automated DNA sequencers, is cultivating his vision for health care through the institute’s P4 pilot project. Systems biology seeks to understand how and why complex systems behave as they do. P4 medicine stands for predictive, preventive, personalized, and participatory. Researchers at the institute are enrolling 100,000 healthy patients for the P4 project to help predict and understand the role genes play in health. The goal is to collect data on these patients over two decades through genomic and other complex tests. They’ll assess patients’ nutrition, analyze their microbiome, and perform organ-specific checkups. Grasping the countless factors contributing to disease should enable the researchers to develop tools and strategies for disease prevention and early intervention. “For instance, if we can catch Alzheimer’s disease during the earliest transitions of the disease, then perhaps we can slow the onset by modifying a patient’s diet, exercise, and other behaviors,” said Hood. Hood believes that physicians will be able to examine the unique biology of each person to assess the probability of developing cancer, diabetes, and many other diseases and illnesses. Physicians would then be able to prevent or treat that disease using personalized therapeutics. Dr. Leroy Hood, a renowned systems biologist who helped pioneer the human genome program with the development of the automated DNA sequencer, is the keynote speaker for Georgia Regents University’s 31st annual Graduate Research Day. Hood’s presentation, “Systems Medicine and Proactive P4 Medicine: Catalyzing a Revolution in Healthcare,” will cap off the two-day event. His presentation will be held at 12:30 p.m. Friday, March 20, in the Natalie and Lansing B. Lee Jr. Auditorium on the GRU Health Sciences Campus. Hood’s professional career began at the California Institute of Technology when he and his colleagues developed the DNA gene sequencer and synthesizer and the protein sequencer and synthesizer – four instruments that paved the way for the successful mapping of the human genome, which revolutionized biomedicine and forensic science. “Dr. Hood is an internationally recognized scientist that has had a major impact on modern biology, including the development of the fluorescent DNA sequencer, the work horse of the human genome project,” said Dr. Richard McIndoe, Associate Director for the Center of Biotechnology and Genomic Medicine at GRU. He worked with Dr. Hood as a post-doctoral fellow in his laboratory in the Department of Molecular Biotechnology at the University of Washington. Hood’s keynote will be of particular value to future clinicians and researchers, McIndoe said. President of the Institute for Systems Biology, Hood’s research continues with new approaches to P4 medicine. 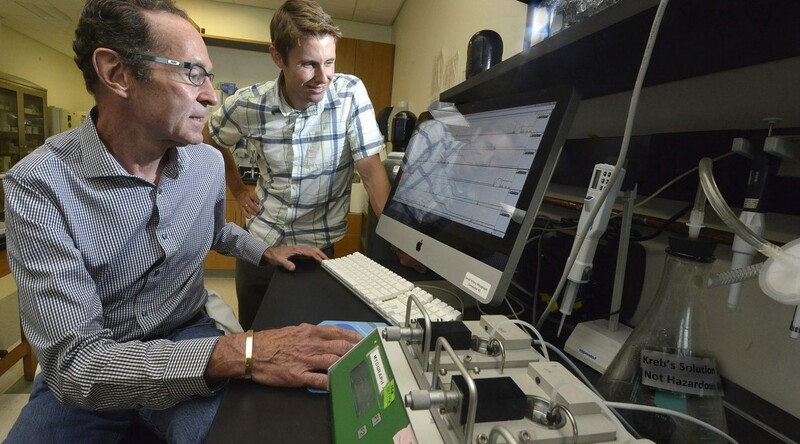 His laboratory also continues to develop new tools and applications for genomics, such as large-scale DNA sequencing and computation, including various approaches to delineating and engineering biological networks, and nanotechnology measurements of blood proteins. 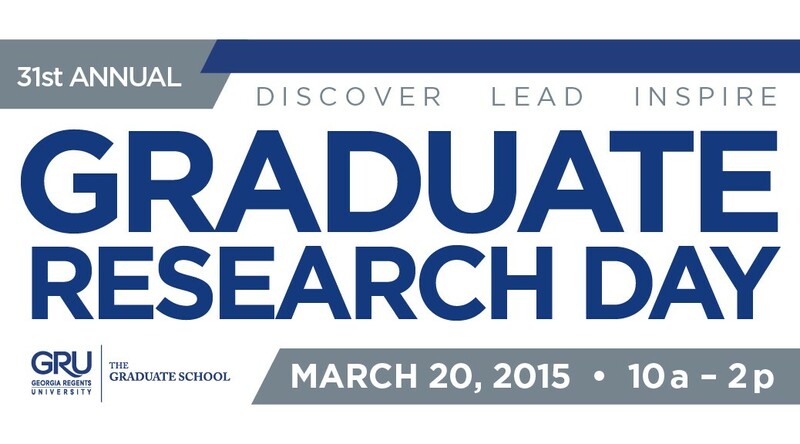 Other Graduate Research Day activities at GRU include oral research presentations by postdoctoral fellows from 1-4 p.m. Thursday, March 19, in Room 2109 of the Interdisciplinary Research Building; and poster presentations from fellows, medical residents, and graduate students from 10 a.m. to noon, March 20, in the Wellness Center. The event gives students an opportunity to receive feedback on their work and sharpen presentation skills before presenting at national meetings. Presentations are judged by faculty and awards are presented by The Graduate School and participating programs and colleges. AUGUSTA, Ga. – Families of first-year students at Georgia Regents University will get a glimpse of student life during Family Weekend scheduled for Oct. 10-11. The weekend will include individual programs for each of GRU’s nine colleges, and feature tours, games, lectures by professors, laboratory demonstrations, and more. Ghost tours by orientation leaders, 8:45 and 9 p.m.
Jaguar Jaunt 5K run/walk, 8 a.m.; registration begins at 7 a.m.
Tours and demonstrations, 10:30 a.m.
Medical Laboratory, Imaging and Radiologic Sciences, White Coat Ceremony, 11 a.m., Salvation Army Kroc Center, 1833 Broad St.
White Coat Ceremony, 2 p.m., Bell Auditorium, 712 Telfair St.
For more information about Family Day activities, contact the Office of Student Life and Engagement, 706-737-1610 or visit, gru.edu/parents. From new programs to new people, the colleges around campus have some exciting new changes for the faculty and students for the fall. The College of Allied Health Sciences is excited about the new school year and what the college has to offer students, both returning and new. One of the big changes is the appointment of Dr. Abiodun Akinwuntan as Associate Dean for Research. Also a CAHS Advisory Board has been developed that will inform strategic planning for the college, including development and implementation of short- and long-term goals, community outreach and service, and to garner support for education and research. As the College of Dental Medicine expands its class size from 80 current first-year students to 85 incoming freshmen this fall, it will hold classes in the brand-new Education Commons building, with its state-of-the-art simulation laboratory, two large flexible classrooms, a café, student lounge, and a variety of study environments to accommodate up to 300 students. The College will educate 320 students total in all four classes – on the way to a goal of 400 total students by 2016. In the past 45 years, 2,254 DMDs have earned their degrees. Dr. Kevin Frazier, Professor in the Department of Oral Rehabilitation and Associate Vice President of Student Affairs, has been appointed Vice Dean of the College of Dental Medicine, effective Aug. 11. Dr. Frazier currently teaches in the department and maintains a general practice in the Dental Associates clinic. The College of Education is proud to announce five new certificate programs: Sport Coaching, Active Aging, Health Professions Educator, Advanced Counselor Education, and Advanced School Counseling, and we expect to launch our new EdD in 2015. The College’s Literacy Center has also gained national recognition from the National Reading Styles Institute. The Department of Kinesiology and Health Science has joined the American Kinesiology Association. We are leading the redesign of educator preparation programs with an innovative pilot program, in conjunction with Richmond County Schools, for teachers in training. To combat math illiteracy in girls and to introduce girls to college and career possibilities, Women in Philanthropy awarded the GRU Literacy Center a grant to host the Path 2 Math 4 Girls yearlong mathematics camp for girls in grades 5 to 8 in Richmond, Columbia, McDuffie, and Burke counties. Path 2 Math 4 Girls will begin Aug. 16 and run through March. For the second year, the Georgia Regents University College of Education’s Instructional Resource Center will partner with the CSRA Regional Education Service Agency (RESA) to provide area media specialists with technology training, professional collaboration, and networking opportunities. Workshops will be Sept. 16, Nov. 18, and Feb. 10 from 9 a.m. to noon in University Hall, room 221, on the GRU Summerville Campus. The college will also host a Teaching With Primary Sources workshop, sponsored in part by Waynesburg University, on Oct. 11. The professional development workshop helps teachers use a rich reservoir of digitized primary source materials to design challenging, high-quality instruction. After 70 years of excellence and innovation in academic nursing at GRU and legacies, we are embarking on an exciting journey into the College of Nursing’s eighth decade. This fall, we realize our largest enrollment to date with more than 800 undergraduate, graduate, and doctoral students taking classes online, here in Augusta and on our Athens campus. For the first three years, we will focus on building the next generation of faculty who will usher nursing education into the future. A cadre of technologically savvy teachers, researchers, and practitioners will embrace the best practices in classroom pedagogy to lead emerging trends in health care. Together, we will ensure the success of our “Eighth Decade” continuing in a tradition of excellence and with an eye toward innovation. Dr. Annette Bourgault assumed the role of interim Assistant Dean for Assessment and Development on Aug. 1. The position will include developing competencies among all employees, initially working with new and seasoned faculty to assess and facilitate development of core teaching competencies. Dr. Elizabeth “Beth” NeSmith has been appointed Chair of the Department of Physiological and Technological Nursing. Dr. Stephanie Wright has been appointed Director of the Clinical Nurse Leader Program. Dr. Julie Zadinsky has been appointed Director of the PhD in Nursing Program. Shena Gazaway joined the College of Nursing faculty as Instructor in the Department of Physiological and Technological Nursing. Michael Stevenson joined the CON Office of Academic and Student Affairs as Administrator. White Coat Ceremony: Aug. 22 at 2 p.m., Christenberry Fieldhouse – Students entering the Bachelor of Science in Nursing and Master of Science-Clinical Nurse Leader programs will be presented white coats to mark the beginning of their journey into nursing. Family and friends along with CON faculty and staff will be on hand to celebrate with the honorees. State of the College Address: Oct. 3, 1 p.m. – EC-1210 – Dr. Marion will recap accomplishments of the last year and discuss recent developments and plans for the future of the College of Nursing. 2014 CON Fall Convocation (end of fall semester – date/location TBA) – Will celebrate students completing their programs of study in December. The College of Science and Mathematics welcomes 29 freshmen into the Medical Scholars Program and four into the Dental Scholars Program. These programs attract outstanding students and afford them the opportunity to achieve their BS and MD or BS and DMD degrees in only seven years. In each instance, students will spend their first three years in pursuit of the Bachelor of Science in Cell and Molecular Biology through the Department of Biological Sciences. The Department has recently hired Elizabeth Gorman to be the Program Manager. She will oversee all aspects of the undergraduate portion. Dr. Jennifer Bradford — studies NF-kB signaling in breast cancer tumor-associated macrophage communication. Dr. Iryna Lebedyeva — primary research interest: identification and design of novel chemical entities in early drug discovery. Dr. Theja De Silva — research focuses on developing mathematical models to understand the behavior of condensed matter materials. Eric Numfors — research interests: applied mathematics, mathematical biology & ecology, optimal control, mathematical modeling, immuno-epidemiology, eco-epidemiology, numerical analysis, ordinary & partial differential equations with applications to population and diseases. Laurence Miller — research focus: use of behavioral, pharmacological, and neuroscience techniques to examine mechanisms that mediate the function of brain reward systems, with particular interest in drug abuse and pain. The James M. Hull College of Business is kicking off the fall semester with three new faculty members: Dr. Michael Dugan, The Peter S. Knox III Distinguished Chair in Accounting; Dr. Kevin Cain, management; and Dr. Harley Eades, computer science. Hull College has launched and begun recruiting students for the school’s first MBA option aimed specifically for graduates with backgrounds in science, technology, engineering, and mathematics, or STEM. The STEM-MBA Option is a 15-month program focused on the management and commercialization of emerging industries in energy, biotechnology, health care, information, and manufacturing technologies. The business school also has several events planned for the semester including its annual Accounting Week as well as the Russell A. Blanchard Lecturer in Ethics program being held Oct. 9 at 6 p.m. in the Jaguar Student Activities Center Ballroom. This year’s ethics speaker will be Cynthia Cooper, a best-selling author and former accounting executive at WorldCom who uncovered $9 billion in fraud in the company’s accounting books. 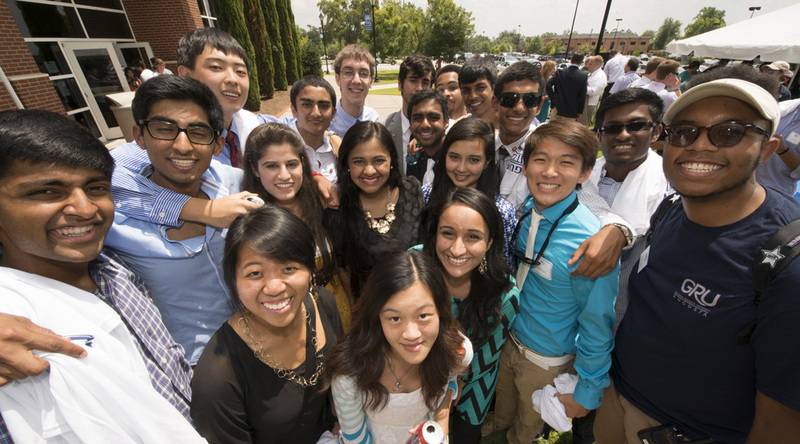 The Medical College of Georgia, the state’s public medical school, starts the new year with 230 new students – the nation’s eighth largest freshman medical school class – representing nine states and 47 Georgia counties. “This is a bright, already accomplished, and well-rounded group of medical students, and we are so pleased to have them here,” said Dr. Peter F. Buckley, MCG Dean. The Class of 2018 at MCG’s main campus in Augusta will be the first to learn in the J. Harold Harrison, M.D. Education Commons, MCG’s new academic home as well as a state-of-the art facility for interprofessional and dental education. The Education Commons, which should be opening its doors to students in September, will provide a dynamic and eclectic learning environment that includes huge, 300-seat, two-story classrooms; small, intimate learning communities; and an exceptional simulation lab that gives students early, realistic patient experience. The medical school also starts the new year with a new academic department: the Department of Neuroscience and Regenerative Medicine headed by neuroscientist Dr. Lin Mei. 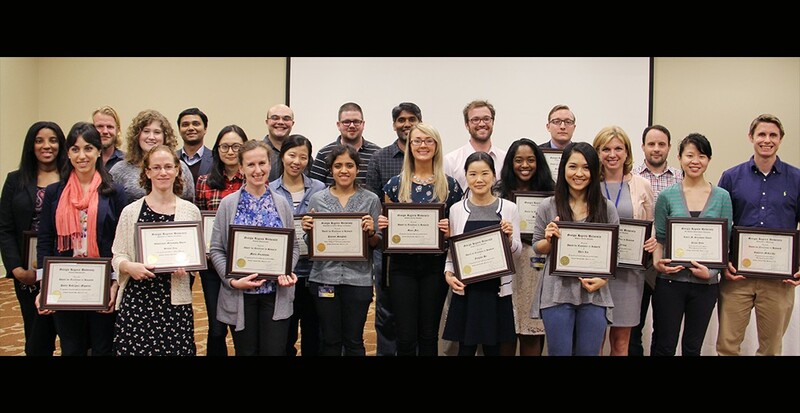 Also, in the last academic year, nearly 100 new faculty members have been recruited with a broad range of expertise from children’s heart defects to pulmonary biology to systemic fungal infections and immunology. 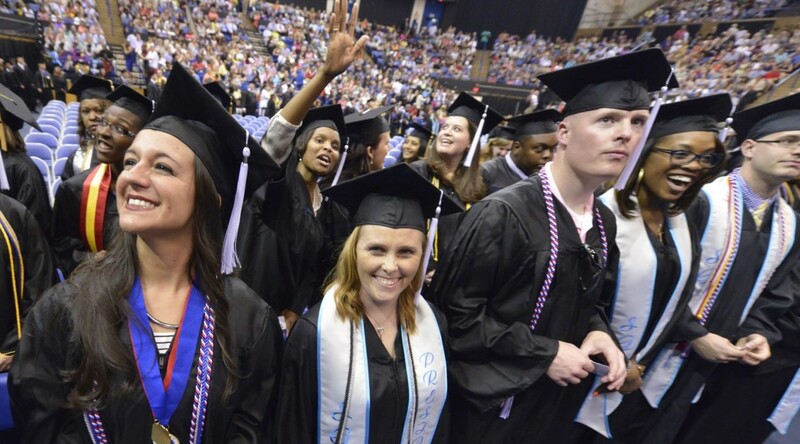 Students also have an unprecedented number of dual degree offerings. In addition to the longstanding MD/PhD, they can opt for an MD/MBA in collaboration with the Hull College of Business and an MD/MPH in collaboration with The Graduate School. 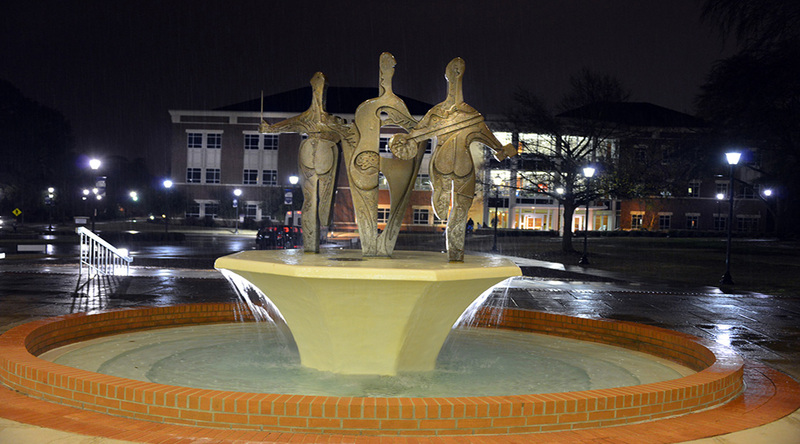 The 40 freshmen at the Medical Partnership campus in Athens, a second, four-year campus in collaboration with the University of Georgia, have dual degree options available through UGA. Dr. Jose A. Vazquez, who was named Chief of the Section of Infectious Diseases and is an expert in systemic fungal infections and bacterial infections. Dr. Gurmukh Singh, who is a Professor of Pathology and is credited with the discovery of two genes in the lung. Dr. W. Chris Sheils, who is a 1972 graduate of the Medical College and member of the Radiation Therapy Center. Dr. Todd Burgbacher, who is the region’s first fellowship-trained emergency medical services physician and is now part of the first-response team managing the worst accidents and disasters in the Augusta area. Coming up this semester, we have the MCG Alumni Association, Athens Regional Reception, on Aug. 28, the MCG Foundation 60th Anniversary Celebration on Sept. 6, and the White Coat Ceremony on Oct. 11. As always, Pamplin College is flush with activities and excitement in the new school year. One of the big additions this year will be renowned jazz trombonist Wycliffe Gordon joining the Music Department as an Artist in Residence. He will also be fundamental in the college’s new Jazz Track being offered this year. Also around the college, the Byrd Gallery will host an “Artist Activist” showcase, which opened Aug. 14 and focuses on women’s rights, race, poverty, LBGT rights, animal rights, war, environmental change, and the justice system. 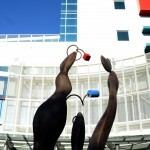 Events include a talk with artist Sue Coe on Aug. 28 at 5 p.m. and the opening reception at 6 p.m. The Department of History, Anthropology, and Philosophy is pleased to welcome new faculty members to its ranks. Dr. Andrew Goss joined GRU this July as Chair of the Department. He is a historian of Asia, with a specialty in the history of science, whose research ranges from the history of the Dutch empire in Asia to the workings of the modern pharmaceutical business. The Department is also glad to welcome back Dr. Wendy Turner who, after a year as interim Chair of the Department of English and Foreign Languages, has returned to devote herself to researching and teaching about the history of medicine in Medieval Europe. In the Political Science Department, the Center for Public Service and the Political Science Club have teamed up to offer TurboVote to GRU students. TurboVote makes it easier than ever to register. Oct. 6 is the last day to register. Students can go to gru.turbovote.org and register online. The Department will be hosting a program the week of Sept. 22 on GRU internships in Washington, D.C., with the Office of Governmental Relations and Career Services. We placed five interns in D.C. this summer and will have one intern during fall 2014. And in Sociology, Criminal Justice, and Social Work, Dr. Jessica Ziembroski is joining us as Director of Social Work. Also, Intimate Partner Violence will be taught as a cross-listed CRJU and PADM Graduate Class for the first time in the fall by Dr. Allison Foley. And Dr. Dave Hunt is teaching one of the Inquiry courses – Food for Sport: Connecting Culture, Sports, and Food. The Graduate School is looking forward to greeting new and returning graduate students at a Welcome Reception on Wednesday, Aug. 20. Under the leadership of Dean Watsky, The Graduate School has expanded to acquire an array of gifted faculty and new programs over the last year. 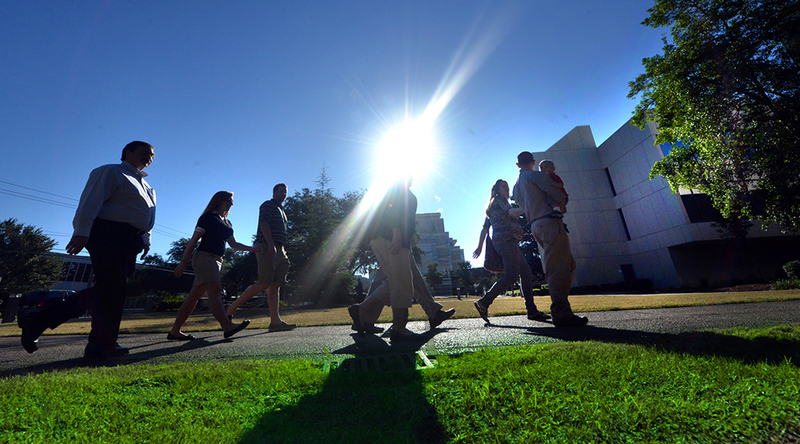 Eighty-eight new faculty members were added to the eight colleges now included within The Graduate School. Kathleen “Kath” Girdler Engler, the beloved Augusta artist behind many of Augusta’s most well-known public art pieces, including three at GRU, passed away Wednesday. 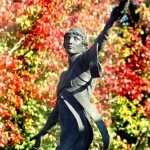 In addition to being an award-winning sculptor, Engler also was a nurse, fitness trainer, and active volunteer. She created Run with Art camps for area children that blended art and fitness to show the fun side of exercise, and she volunteered regularly at Georgia Regents Medical Center and the Children’s Hospital of Georgia, where she made art with both adolescent psychiatric and cancer patients. AUGUSTA, Ga. – A new pipeline program between Georgia Regents University and the University of California, Merced, is aimed at increasing the number of underrepresented and minority students who want to become physician/scientists. Four students from UC Merced spent nine weeks working and studying at GRU this summer as part of the Undergraduate Physician Scientist Research Training or UPSTaRT Program. Program creators hope it will pique their interests in applying to medical school, a biomedical research program, or an MD/PhD program. UPSTaRT developed out of a long standing friendship and working relationship between Pollock and Dr. Rudy Ortiz, a researcher at UC Merced. Both universities were ideally situated to support such a program – with UC Merced’s increasing population of underrepresented and minority students and GRU faculty’s experience with mentoring young scientists and extramural research. UC Merced opened in 2005, but currently lacks the biomedical faculty to support such a program there, Pollock says. Participants, who were identified by undergraduate research mentors and had completed required pre-requisite coursework in biology, were exposed to a one-week lab introductory “boot camp” at UC Merced that familiarized them with lab safety, library resources, research ethics, and other research basics. They then traveled across the country to GRU, where they worked alongside GRU MD/PhD students and physician/scientists for eight weeks on research projects, from blood vessel remodeling in the brains of diabetic rats, to hypertension to chronic kidney disease. Students also attended educational workshops on networking, time-management, and how to write a research abstract; participated in Grand Rounds sessions for the Medical College of Georgia Department Of Medicine; and attended interview counseling sessions and an actual interview for admission to MCG, which would serve as their actual interview should they decide to attend medical school in Augusta. Participants also received a $2,800 stipend, on-campus housing, transportation to and from Georgia, and a travel allowance to attend the 2014 Experimental Biology Conference in San Diego.